There were no injuries. Preliminary information indicates pilot error caused the crash, St. Petersburg police said. 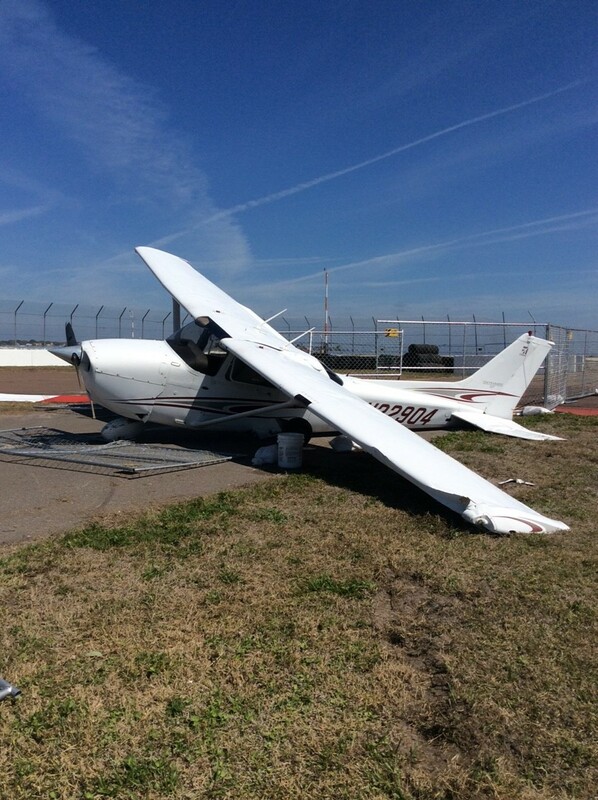 ST. PETERSBURG – A student pilot practicing take offs and landings crashed a single-engine plane at Albert Whitted Airport this morning (March 1). The pilot, who was not injured, was the only person on board at the time of the crash, according to St. Petersburg police and fire rescue officials. They said fire rescue had to handle a minor fuel leak from the crash. Police and fire rescue officials said the crash happened about 11: 20 a.m. The student pilot was practicing take offs and landings in a single engine Cessna when he crashed near the tower while landing. The plane sustained damage to its landing gear. The crash is being investigated by Albert Whitted Airport and the Federal Aviation Administration. The airport, 107 Eighth Ave. SE, is owned and operated by the city of St. Petersburg. The airport provides convenient access by air to the city’s downtown waterfront, business district and urban communities. It provides various aviation services including aircraft fueling, aircraft storage and parking, flight training, aircraft charter and rentals, aircraft and helicopter maintenance, aircraft detailing, avionics, pilot supplies, banner towing, and sightseeing tours. Besides commercial and private general aviation, many other organizations also use the airport for aviation support functions of their life-saving missions. These include the Civil Air Patrol, Bayflight Medavac and various organ transplant flying services such as Care Flight. For information about Albert Whitted Airport, go to stpete.org. Main photo courtesy of the St. Petersburg Police Department. In-story photo courtesy of St. Petersburg Fire Rescue.